Titanium jewelry is an emerging industry. Titanium jewelry will become a new economic breakthrough jewelry industry, due to the titanium jewelry belonging to the new timber, combined with its own “pro-biotic” nature. In the human body, corrosion resistant and non-toxic secretions, have to adapt to any sterilization method, with the advantages of harm to any human skin contact does not occur, in recent years, gradually being chosen many large domestic and foreign brands. Steelidjewelry extended titanium to the Medical alert Jewelry area, we began offering such high quality ID jewelry for all over the world people, because titanium is harder than stainless steel, and malleable also much lower than stainless steel, so it’s difficult to produce than stainless steel is much higher, a perfect titanium medical alert bracelets to go through stamping, drilling,assembly processes, fine polished, inlaid, plating. Because the material “pro-biotic” nature, plus processing is not easy, so it’s worth more than the stainless steel medical alert bracelets will be much higher! 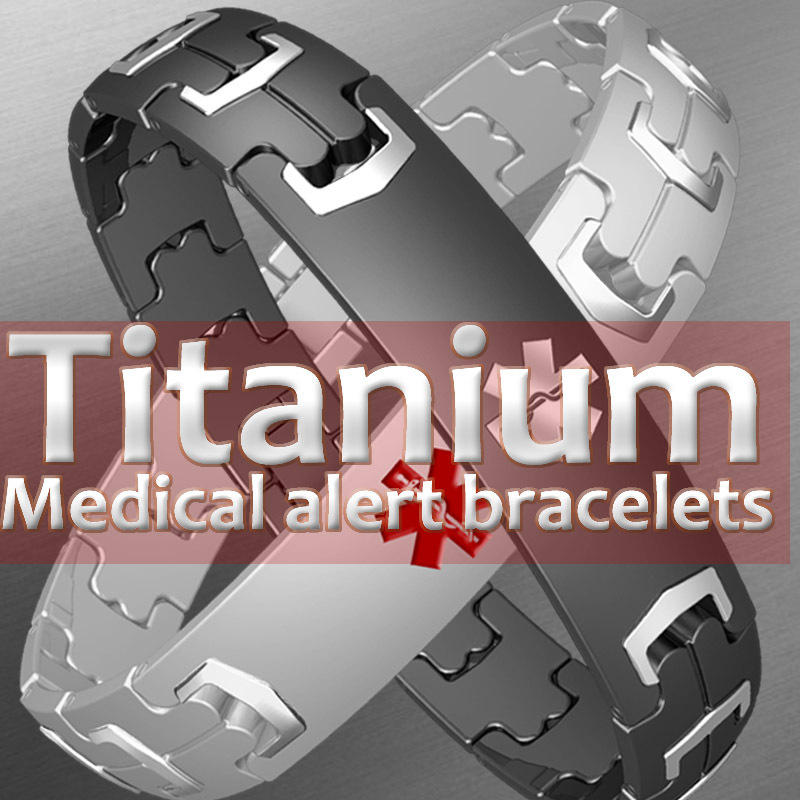 Today, Steelidjewelry titanium medical alert bracelets by the many European and American customers prefer, wholesale titanium medical alert bracelets, Steelidjewelry is a staunch supporter.